You win some, you lose some. Drake has picked himself up a lawsuit filed by Ericka Lee, who lent her vocals to “Marvin’s Room,” and is now looking for payment. The rapper responded to the suit, stating that the singer consented to recording, sans compensation. Courtroom – actually, pre-courtroom – draaaaaama! Ericka Lee, the lovely lady who landed her vocals to Drake’s hit “Marvin’s Room,” is claiming that she is owed monetary compensation for her contribution. Lee filed a lawsuit against the rapper, demanding royalties that she was allegedly promised. “Ericka Lee consented to the use of her voice in the song Marvin’s Room prior to its release. Lee asked only for the credit she received as Syren Lyric Muse, and she did not ask for any compensation. It was only after she retained a lawyer that there was a demand for payment. 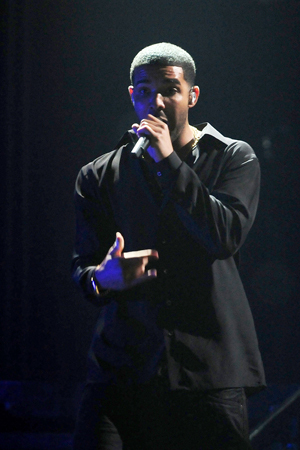 Drake personally dismissed claims that any compensation was promised, insisting that Lee, “consented to the use of her voice in the song Marvin’s Room for no compensation.” He also dispelled allegations that the two were romantically linked in the past. People, you always have to read the fine print. It’s becoming quite a trend to milk celebrities for their riches on any ground possible… There should be a protection programme. So, Ericka Lee – ripped off or justified claim to compensation? Share your thoughts.